What does any of that matter if the case isn’t good-looking? Well, no worries. This case is beautiful, pure and simple. It is one of the best looking cases I have had my hands on. 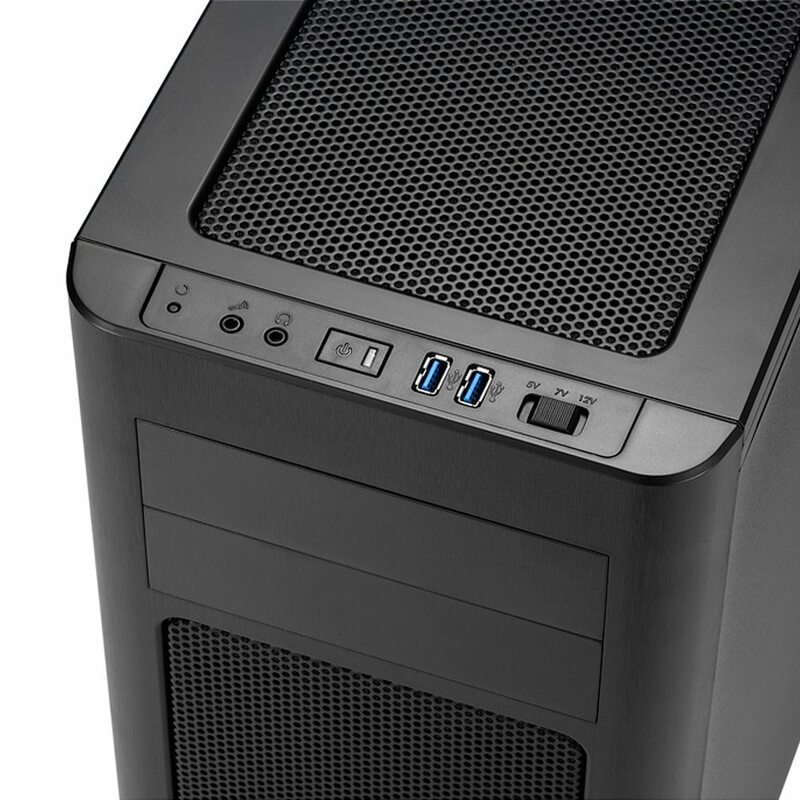 Every aspect of this case is smooth; the sleek brushed surface up front, the I/O panel, the side window, the unbelievably easy to access fan filters. Each element of this case is masterfully integrated for an extremely elegant transition. Up front, the case’s plastic bezel has a brushed aluminum effect that is very well carried out. It almost fooled me into thinking it was brushed aluminum, had to tap it with my finger a few times to make sure. 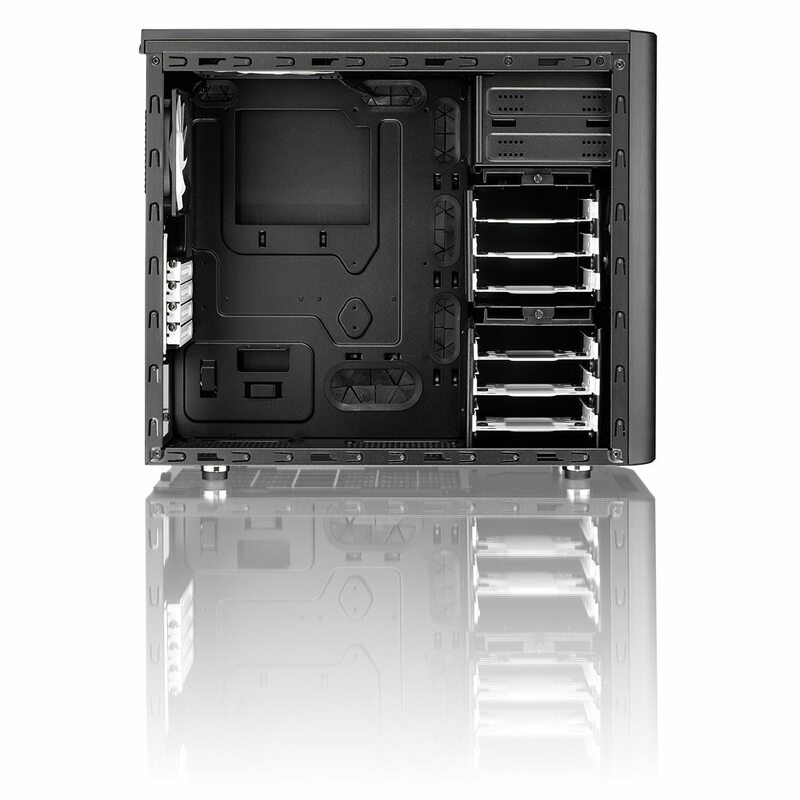 The two 2.5″ drive bays and a removable fan filter are all that take refuge up front. 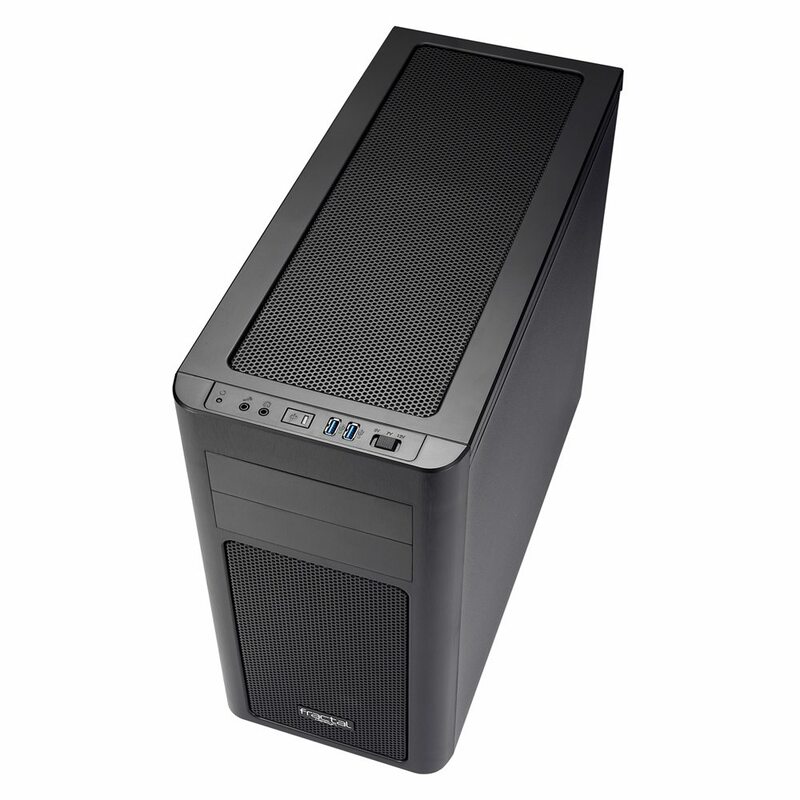 The removable fan filter does not require that you remove the bezel to access it. Instead, just give it a push at the top and the push to open mechanism release the filter for easy cleaning. 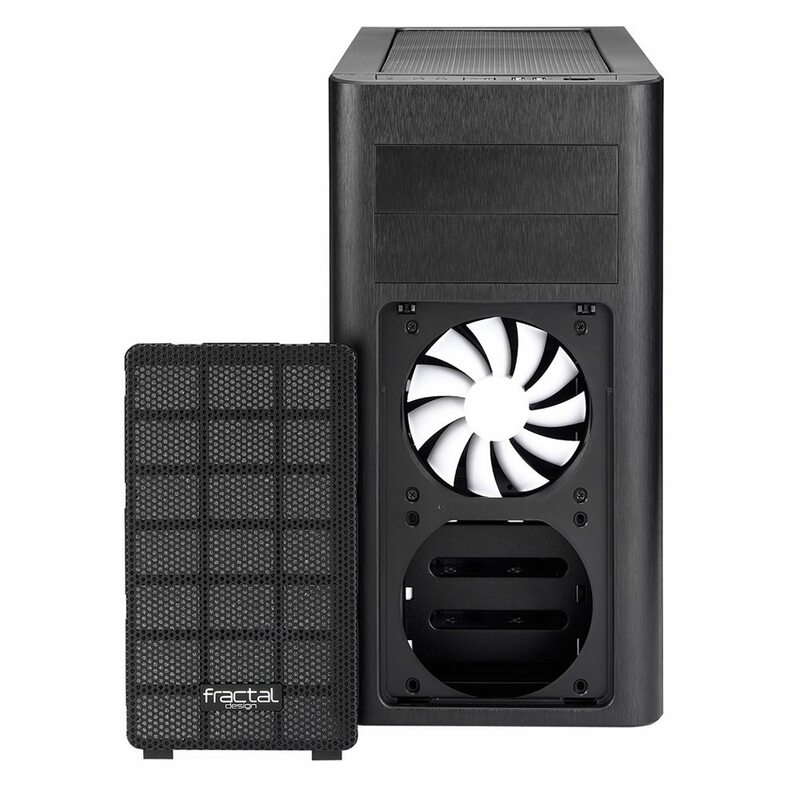 Up top, you are greeted with a 3 speed fan controller, 2 x USB 3.0 ports, a power button with integrated LED, audio connections, and a recessed reset button. You don’t have to worry about accidentally resetting your system with this layout; you actually need something other than your finger to depress it (I had to use a pen). The top of the case is completely removable, via two thumbscrews around back, exposing the fan filter and installation points for the fans. 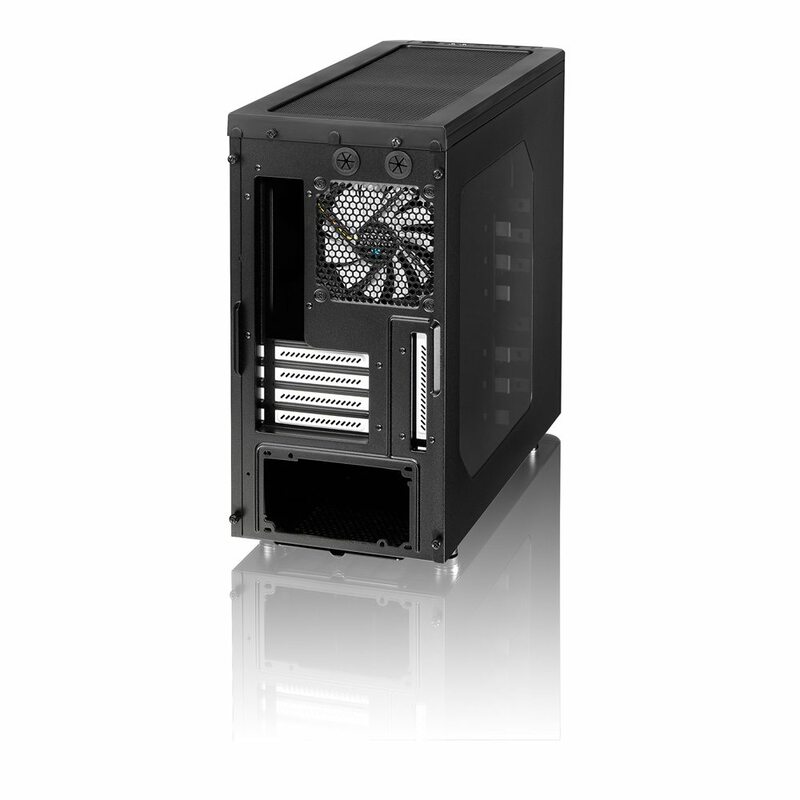 Around back, you have two water cooling cutouts, 4+1 expansion slots, and the cutout for the bottom mounted PSU.